Denierbud’s forgery claim strongly relies on the stance that certain contents of the Stroop Report are not in line with what “one” would expect them to be. What apparently bugs him most is that the report describes no members of Stroop’s forces being killed by explosives used by their opponents, and that the casualties of Stroop’s forces are too low to be “believable”. So in the following I will have a look at these arguments. The author who impersonates General Jürgen Stroop forgets to have the Jews effectively use bombs or grenades in the nearly month-long battle. The author has the Germans capturing bombs and grenades but forgets to have the Jews using them. Similarly, in the daily reports, there is only one instance of an ambush on the Germans. That occured on the first day, April 19. But if you look at the dead and wounded list (at the beginning of the report) you'll see that no Germans died in that ambush. Also telltale is there is no instance of the Jews ever booby trapping a road, a door, a sewer entrance, or a dugout. The author either forgot to have the Jews do that, or she didn't want to elicit sympathy for the Germans by including any instances of it. We're supposed to believe that Jewish commander Mordecai Anielewicz never tried such strategies. First of all, denierbud’s allegations reveal him to be a dishonest propagandist when he points out that no Germans are reported to have been killed in the “ambush” on 19 April 1943, described by Stroop in his teletype report of 20 April 1943. That much is true, but it is also true that Stroop mentions to have sustained losses of “12 men (6 SS-men, 6 Trawniki-men)” in that “ambush”, and that the list of wounded at the start of the report shows 19 April 1943 to have been the day with the highest number of wounded in the entire month-long operation (24 out of a total of 85 wounded between 19 April and 16 May 1943 or ca. 28 % of the total reported for a period of 28 days, by my count). So there is not as much a discrepancy as denierbud tries to make believe between the described intensity of combat on 19 April 1943 and the casualties that were reported for that day. Denierbud’s pointing out that no Germans killed by Jewish bombs or grenades are mentioned throughout the Stroop Report shows the bizarreness of denierbud’s reasoning rather than anything else. While it is true that neither the summary report nor the daily teletypes contain anything like “Unterscharführer So-and-so was killed by a hand grenade” or “Unterscharführer So-and-so was blown up by a mine” (though a wounding through hand grenades is mentioned on at least one occasion), does this imply that none of Stroop’s men is stated to have been killed by explosives? What are the fatalities mentioned in the casualty list supposed to have died from, if not either projectiles from fire-weapons or explosions of hand grenades or other explosive devices? Several bandits stated that they had long been in a position to kill off the leader of the action, the "General," as they call him, but that they would not do so, since they had orders to that effect to avoid the risk of a further intensification of the anti-Jewish measures. Further factors to be considered in this context, besides the tactics employed by Stroop that will be addressed in the next section of this part, are the reduced number of Jewish fighters and the little armament they possessed, as opposed to the hardware of a well-equipped modern army. Just how many Jewish fighters were there in the ghetto, and what did they have to fight with? The ZOB now had 22 fighting squads, of 15 fighters each, the Military Union had about half the number of fighters, but it operated in a similar manner. 22 fighting squads of 15 fighters each means a total of 330 fighters, half that many is 165, so the total Jewish fighting force amounted to 465 fighters. Seven hundred and fifty fighters fought the heavily armed and well-trained Germans. When, on January 18, the SS squads, composed largely of Balts and Ukrainians, attempted to sweep the ghetto, the inhabitants responded with sniper fire and hit-and-run tactics. Since the Jews had but some 140 small arms, most of them pistols and revolvers worthless except for close combat, the toll on the defenders was terrible – one thousand were killed and fifty-five hundred captured. Some additional arms – a few hundred at the most – were obtained at exorbitant cost from the Poles. But the stock of ammunition did not exceed ten rounds per weapon, scarcely enough for a single action. It was Masada, 1943, but without a vestige of hope. During this armed resistance the women belonging to the battle groups were equipped the same as the men; some were members of the Chaluzim movement. Not infrequently, these women fired pistols with both hands. It happened time and again that these women had pistols or hand grenades (Polish "pineapple" hand grenades) concealed in their bloomers up to the last moment to use against the men of the Waffen SS, Police, or Wehrmacht. Also today repeated armed resistance took place and in one bunker 3 pistols and explosive charges were captured. Today, we again captured arms and ammunition, including one pistol. In this skirmish the Jews fired from 08 pistols and other calibers and threw Polish "pineapple" hand grenades. During the securing of one bunker, a pitched fire fight took place during which the Jews not only shot with 08 pistols and Polish Vis-pistols, but also threw Polish hand grenades at the Waffen-SS men. The Jews and bandits held their fire up to the last moment and then concerted their fire against the units. They even used carbines. The night patrols clashed with armed bandits several times. These bandits fired a machine gun and small arms. 7 Polish weapons, 1 USSR weapon, 1 German weapon, 59 pistols of different calibers, several hundred grenades, both Polish and self-made, a few hundred Molotov cocktails, self-made bombs, infernal machines with detonators. Large amounts of dynamite, ammunition for weapons of all calibers, including ammunition for automatic weapons. In respect of the seizure of weapons, t should be remembered that in most cases, the weapons could not be seized, because, before their capture, the bandits and Jews threw them into hiding places and holes that could not be determined or found. Seizure was also made impossible because of the smoke screens set in the bunkers by our men. Since the blowing up of the bunkers had to be undertaken immediately, there was no question of a subsequent capture. The hand grenades, explosive ammunition and Molotov cocktails seized by us were immediately employed in fighting the bandits. I leave it open whether Stroop’s main justification for his reduced weapons booty stands up to scrutiny, or whether he was just using a staple excuse invoked by counterinsurgency units when they have few captured weapons to show because most “partisans” or “bandits” they killed were actually unarmed noncombatants (see, for instance, the discussion of German anti-partisan fighting in Belorussia in Christian Gerlach’s book Kalkulierte Morde, especially the excerpt translated in my RODOH post # 3890). For the main reason why so little armament was captured, as shown by all three sources I have referred to, was that Stroop’s opponents didn’t have much armament to start with. The Jewish fighters of the Warsaw ghetto were not only few in number, but also very limited in what they had to inflict damage on their enemy with. The weapons they mainly used, pistols, hand grenades and Molotov cocktails, were close-combat weapons, meaning that the Jews had to get very close to their enemy in order to inflict casualties. This exposed them to high casualties at the hands of an opponent who could hit them with long-range weapons before they became dangerous to him, and was further made difficult by the tactics employed by Stroop’s forces, which will be discussed in the following section. Any fighting success under such circumstances called for extraordinarily reckless and able fighters, and unless the members of the Jewish fighting organizations had these qualities, the inefficiency of their struggle that denierbud rules out as impossible is not exactly implausible. Denierbud tells his readers that there is an unbelievably wide disproportion between the number of Jews killed or captured that Stroop reported and the casualties of his own forces (16 killed, 85 wounded, by my count) that he stated in his report, and that this shows that the supposed female forger “wanted sympathy for the Jews, so she had Jews overwhelmingly killed in many awful ways, but she either forgot to have Germans killed, or omitted that since it didn't work with her Jewish sympathy goal”. Before discussing whether denierbud’s conclusions make any sense, let’s have a look at the assumptions they are based on. 7000 divided by 16 equals 437. Which is 1 German killed for every 437 ghetto fighters. That's just not believable. But another ratio is even harder to believe: could German forces walk into a mix of combatants and civilians, many armed in bunkers, who believed they were being deported to death camps, and lose 1 soldier for every 3504 people killed or captured? 56,065 divided by 16 equals 3504. The first of these comparisons suffers from a mistake that I shall gently attribute to denierbud’s having failed to inform himself about how many combatants there actually were in the Warsaw ghetto and assumed that everyone the SS killed out of hand was a “fighter”. Actually, as we have seen in the previous section, the number of armed combatants in the Jewish fighting organizations was below 500 according to one source and 750 according to another. Assuming the higher figure, and that every last combatant was killed by Stroop’s forces (Marek Edelman obviously survived to tell the story, and Stroop himself mentions armed Jews and “bandits” who managed to make their way out of the ghetto), the ratio would be 47 Jewish fighters killed for every combat fatality on the German side (750 vs. 16) and about 7 Jewish fighters killed for every man in Stroop’s force that was either killed or wounded (750 vs. 101, by my count). Considering the wide gap in armament, namely that the Jews mostly fought with short-range weapons requiring them to get close to the enemy and thus expose themselves to high casualties from rifle and automatic weapons fire, and that the SS used artillery, armor, flamethrowers, demolition charges and smoke candles, are these ratios really as implausible as denierbud claims? Wide disproportions in casualties due to considerable differences in training, leadership, armament and tactics have been reported on other occasions, not only in operations by regular military forces against inferiorly trained and armed irregulars, but also in clashes with regular military forces on both sides. For example, at the 1939/40 battle of Suomussalmi, the Soviet forces are reported to have suffered 27,500 killed and missing, whereas the Finnish forces suffered only 350 killed, 600 wounded and 70 missing (ratio of Soviet vs. Finnish killed or missing: 65). When invading Yugoslavia in 1941, German forces killed thousands and captured several hundred thousand enemy troops while losing only 151 killed, 392 wounded and 15 missing. Between June and December 1941, according to Richard Overy (Russia’s War, page 164), German forces attacking the Soviet Union lost about 164,000 dead, against 2,663,000 killed and 3,350,000 taken prisoner on the Soviet side – a ratio of 16 Soviet soldiers killed for every German. In the battle of Kwajalein in January/February 1944, the invading US forces lost 372 killed and 1592 wounded, whereas of the Japanese defenders 7,870 were killed – a ratio of 21 Japanese fatalities for every American combat fatality. The list could be further expanded. An important factor to be considered when comparing the reported casualties of Stroop’s forces with the number of Jews he claimed to have killed is that a considerable if not the greater part of the latter were not killed in the course of combat actions but executed thereafter. This is not merely an inference from the reduced number of combatants among the Jews that Stroop reported killed, but also becomes apparent from Stroop’s daily reports. While on some occasions it is claimed that the Jews were killed “in battle” or not specified how they were killed, on others it is clear that the Jews reported killed were shot after capture. Some examples of the latter will be quoted hereafter. Immediate liquidation was not carried out due to the onset of darkness. I will attempt to obtain a train for T II for tomorrow, otherwise the liquidations will be carried out tomorrow. 30 Jews displaced, 1,330 Jews pulled out of the bunkers and immediately destroyed, 362 Jews shot in battle. A total of 2,560 Jews were caught today within the former Ghetto, of whom 547 were shot. In these operations the raiding parties pulled out 944 Jews from dugouts; 235 more Jews were shot on this occasion. Today we caught a total of 2,283 Jews, of whom 204 were shot and innumerable Jews were destroyed in dug-outs and in the flames. Altogether 1,019 Jews were caught alive today, 255 shot. It stands to reason that the shooting of unarmed noncombatants is not a casualty-prone operation for the force carrying it out, even if denierbud seems to think otherwise. On 23 April 1943 the Reichs Fuehrer SS issued through the higher SS and Police Fuehrer East at Cracow his order to complete the combing out of the Warsaw Ghetto with the greatest severity and relentless tenacity. I therefore decided to destroy the entire Jewish residential area by setting every block on fire, including the blocks of residential buildings near the armament works. One concern after the other was systematically evacuated and subsequently destroyed by fire. The Jews then emerged from their hiding places and dug-outs in almost every case. It was always necessary to use smoke candles to drive out the Jews. Thus one day we opened 183 sewer entrance holes and at a fixed time lowered smoke candles into them, with the result that the bandits fled from what they believed to be gas to the center of the former Ghetto, where they could then be pulled out of the sewer holes there. A great number of Jews, who could not be counted, were exterminated by blowing up sewers and dug-outs. I resolved therefore to blow up these passages which we had discovered and subsequently to set the entire block on fire. Not until the building was well aflame did screaming Jews make their appearance, and they were evacuated at once. We had no losses in this operation. Precautionary measures were taken in order to ensure that the conflagration remained localized. Our setting the block on fire achieved the result in the course of the night that those Jews whom we had not been able to find despite all our search operations left their hideouts under the roofs, in the cellars, and elsewhere, and appeared at the outside of the buildings, trying to escape the flames. Masses of them - entire families - were already aflame and jumped from the windows or endeavored to let themselves down by means of sheets tied together or the like. Steps had been taken so that these Jews as well as the remaining ones were liquidated at once. One raiding party was dispatched to invade once more the block of buildings which for the greater part had burned out or was still aflame, in order to catch those Jews who were still inside. When shooting again started from one block against the men of the Waffen-SS, this block also was set on fire, with the result that a considerable number of bandits were scared from their hideouts and shot while trying to escape. Since some of these Jews resisted, I ordered the building to be set on fire. Not until all the buildings along the street and the back premises on either side were well aflame did the Jews, some of them on fire, emerge from these blocks, some of them endeavored to save their life by jumping into the street from windows and balconies, after having thrown down beds, blankets, and the like. Over and over again we observed that Jews and bandits, despite the danger of being burned alive, preferred to return into the flames rather than risk being caught by us. Mission: "Repeated thorough combing of all buildings, identification of bunkers and their blowing up, as well as capture of Jews. Where they meet any resistance or bunkers cannot be reached, the buildings are to be burnt to the ground." Today's mission ended for almost all of the shock troops with the breaking out of giant fires which caused the Jews to leave their hiding places and refuges. If last night the former ghetto was covered with the glare of fire, then today a giant sea of fire can be seen. A larger raiding party was detailed to clean a certain block of buildings (formerly the Hallmann concern) and to burn this block down. 36 more dug-outs used for habitation were discovered altogether, and from them and other hideouts and from the burning buildings, 2,359 Jews were caught, of whom 106 were killed in battle. Today we blew up a concrete building which we had not been able to destroy by fire. In this operation we learned that the blowing up of a building is a very lengthy process and takes an enormous amount of explosives. The best and only method for destroying the Jews therefore still remains the setting of fires. There were about 200 Jews in this dug-out, of whom 60 were caught and 140 were destroyed, partly owing to the strong effect of smoke-candles, and partly owing to heavy explosive charges which were laid in several places. The Jews whom we caught had already reported that innumerable Jews had been killed by the effect of the smoke-candles. The partisans' stand was so determined that the Germans were finally forced to abandon all ordinary fighting methods and to try new, apparently infallible tactics. Their new idea was to set fire to the entire brush-makers' block from the outside, on all sides simultaneously. In an instant fires were raging over the entire block, black smoke choked one's throat, burned one's eyes. The partisans, naturally, did not intend to be burnt alive in the flames. We decided to gamble for our lives and to attempt to reach the central ghetto area regardless of consequences. The omnipotent flames were now able to accomplish what the Germans could not do. Thousands of people perished in the conflagration. The stench of burning bodies was everywhere. Charred corpses lay around on balconies, in window recesses, on unburned steps. The flames chased the people out from their shelters, made them leave the previously prepared safe hide-outs in attics and cellars. Thousands staggered about in the courtyards where they were easy prey for the Germans who imprisoned them or killed them outright. Tired beyond all endurance, they would fall asleep in driveways, entrances, standing, sitting, lying and were caught asleep by a passing German's bullet. Nobody would even notice that an old man sleeping in a corner would never again wake up, that a mother feeding her baby had been cold and dead for three days, that a baby's crying and sucking was futile since its mothers arms were cold and her breast dead. Hundreds committed suicide jumping from the fourth or fifth storeys of apartment houses. Mothers would thus save their children from terrible death in flames. According to statements of the captured Jews, a large number of inhabitants in the bunkers have become insane due to the heat, the thick smoke and the successful explosions. I don’t think many people are likely to keep in hiding under such circumstances, with horrible death inside their dugout the expected outcome, even if they expect to be killed by their captors. This leads us to an issue addressed by denierbud when he claims that the Jews “supposedly” knew they were earmarked for annihilation and would thus “resist being taken alive”. Unfortunately such expectation is incompatible with the tendency of many human beings to refuse accepting facts that are too horrible to be contemplated. Marek Edelman describes how most Warsaw ghetto Jews, even in the face of unmistakable indications that the Germans intended to wipe them out, “simply closed their eyes to the unpleasant facts and fought against them with all the means at their disposal”. 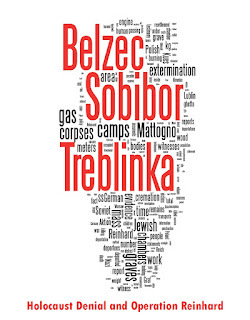 Even a “detailed description of Treblinka” did not put an end to the ostrich-like attitude of people irrationally hoping that they would be spared. So it is not surprising that this attitude should still have been present among many of the ghetto’s remaining inhabitants even during the uprising. And for people looking forward to dying from heat or suffocation inside their bunkers, the choice was just between one form of death and another anyway. The Warsaw ghetto uprising was nothing less than a revolution in Jewish history. Jews had resisted the Nazis with armed force. The significance and symbolic resonance of the uprising went far beyond the numbers of those who fought and died. Mordecai Anielwicz wrote to his colleague Itzhak Zuckerman:"…what really matters is that the dream of my life has become true. Jewish self defense in the Warsaw ghetto has become a fact. Jewish armed resistance and retaliation have become a reality. I have been witness to the magnificent heroic struggle of the Jewish fighters." The events of the next five weeks may be seen from three totally different angles. The first, which is the symbolic angle, must determine the verdict of history. From this angle, the ghetto rebellion was the first national military struggle of the Jews since the rebellion of Bar Kochba in the reign of Hadrian. It was the precursor of the defence of Jerusalem’s ‘Old City’ and the three invasions of Sinai. Goebbels himself took notice of the bulletins of the ‘Jewish High Command.’ Accordingly, the ghetto rebellion has become a Jewish epic in its own right, and it must forever remain so. More than one eyewitness has commented on the spirit of resignation with which so many Jews met their deaths in the Nazi gas chambers or in the great execution pits of the Einsatz squads. Not all Jews submitted to extermination so gently. In the spring days of 1943 some 60,000 Jews walled up in the Warsaw ghetto – all that remained of 400,000 who had been herded into this place like cattle in 1940 – turned on their Nazi tormentors and fought. The German destruction of the European Jews was a tour de force; the Jewish collapse under the German assault was a manifestation of failure. The Jews were not oriented toward resistance. Even those who contemplated a resort to arms were given pause by the thought that for a limited success of a handful, the multitude would suffer the consequences. Outbreaks of resistance were consequently infrequent, and almost always they were local occurrences that transpired at the last moment. Measured in German casualties, Jewish armed opposition shrinks into insignificance. The most important engagement was fought in the Warsaw ghetto (sixteen dead and eighty-five wounded on the German side, including collaborators). 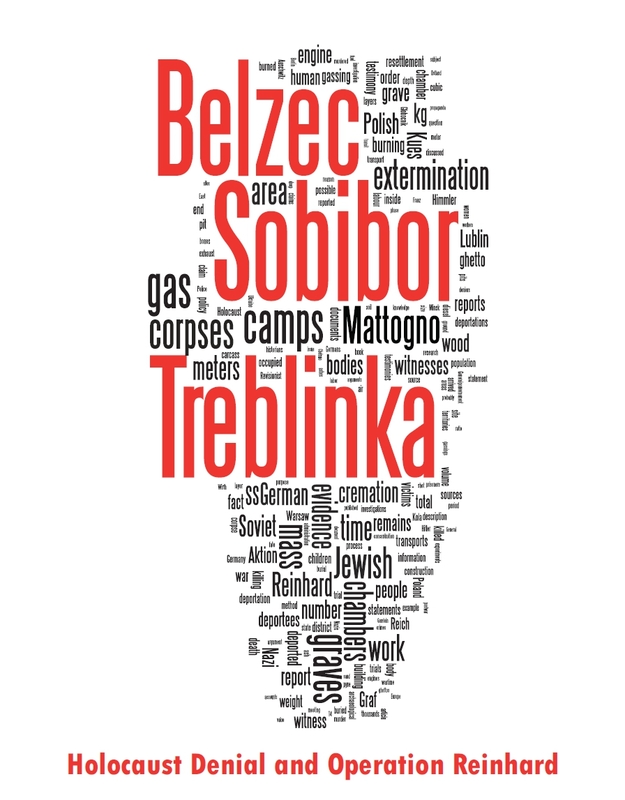 Following the breakout from the Sobibór camp, there was a count of nine SS men killed, one missing, one wounded, and two collaborators killed. In Galicia sporadic resistance resulted in losses also to SS and Police Leader Katzmann (eight dead, twelve wounded). In addition there were clashes between Jewish partisans and German forces in other parts of the east, and occasional acts of resistance by small groups and individuals in the ghettos and killing centers. It is doubtful that the Germans and their collaborators lost more than a few hundred men, dead and wounded, in the course of the destruction process. The number of men who dropped out because of disease, nervous breakdowns, or other court martial proceedings was probably greater. The Jewish resistance effort could not seriously impede or retard the progress of destructive operations. The Germans brushed that resistance aside as a minor obstacle, and in the totality of the destruction process it was of no consequence. Would denierbud’s fantastic female forger, intent on garnering sympathy for the Jews, play down the efficiency of Jewish resistance to the Nazi killers and the casualties it inflicted on them, and thus make that great Jewish epic (Reitlinger), that “magnificent heroic struggle of the Jewish fighters” (Mordecai Anielwicz, as quoted by the Anti-Defamation League) referred to in the bulletins of ‘Jewish High Command’ that Goebbels himself took notice of (Reitlinger), look like what Hilberg considered a manifestation of Jewish failure? Or would “she” do her best to point out that the heroic Jewish fighters not only stood up against their tormentors, but also gave them hell? German losses, according to Stroop, were sixteen killed and ninety wounded. Probably the true figures were much higher, given the nature of the savage house-to-house fighting which the general himself described in such lurid detail. Reitlinger (as above, page 296) also entertained the possibility that Stoop’s casualties “may have been understated to please Himmler”. Approximately 300 Germans and 7,000 Jews were killed in the uprising, and another 7,000 Jews were deported to Treblinka. If Stroop actually reported casualties much lower than his forces actually suffered, he did nothing that has not been done throughout history by military commanders (though Colonel-General Alfred Jodl, who contemptuously referred to the amount of paper Stroop had dedicated to his “little murder expedition”, might have resented calling Stroop a military commander, Stroop himself apparently saw himself as one) trying to present themselves to their superiors as more successful than they had actually been. In the case of Stroop, it might have been especially embarrassing if, on top of having taken much longer to clear out the ghetto than had been planned (according to Shirer, as above page 975, the operation was originally meant to last three days), his troops suffered high casualties at the hands of a motley force of badly armed insurgents belonging to what was seen as an inferior and despicable people. So, whatever the actual casualties of Stroop’s forces in putting down the Warsaw Ghetto Uprising were, one thing is sure: if someone had a reason to play down these casualties, it was certainly not the female Jewish forger of denierbud’s fantasies. It was only Stroop himself. Two more of denierbud’s arguments against the authenticity of the Stroop Report having thus been dealt with, I move on to his “Ten Other Points to Consider”, insofar as not already dealt with in Part 1 of this article. When reading the Stroop report some time ago I also wondered about the very low figure of own casualties reported by Stroop. On the other hand, I have problems with believing in Edelman's description of streets littered with dead Germans. Does there not exist a possibility of verifying the German losses? Wasn't there an authority that registered the losses (dead, captured, or lost) of the Wehrmacht? And didn't the SS have a similar registry? It was important e.g. for the families of the dead, e.g. to get widow pensions. Does anyone know more? >When reading the Stroop report some time ago I also wondered about the very low figure of own >casualties reported by Stroop. On the other hand, I have problems with believing in Edelman's >description of streets littered with dead Germans. As often happens with reports from both sides of an armed confrontation, the true figure probably lies somewhere in between what is claimed by either side. >Does there not exist a possibility of verifying the German losses? Wasn't there an authority that >registered the losses (dead, captured, or lost) of the Wehrmacht? And didn't the SS have a >similar registry? It was important e.g. for the families of the dead, e.g. to get widow pensions. >Does anyone know more? WASt would have recorded these figures, but has not published materials on losses per unit, nor is it entirely public-access. It's possible there are references in the Wehrmacht reports from the Militaerbefehlshaber im Generalgouvernement. I have a question about the Stroop casualty estimate that may reveal my ignorance as I have not read the entire report, only excerpts. First of all, so far as I know there were a couple relatively minor firefights in January, 1943 before Stroop was involved where some small number of Germans may have been killed. Those I presume are not included in his figures. Perhaps more significantly, the initial German assault which started in April 19 was not led by Stroop, but by von Sammern-Frankenegg. This initial assault was said to be rather disastrous for the Germans, according to Edelman (who I agree is not always credible in his assessment of German casualties). Nonetheless, Edelman's account of the ambush of this initial German incursion is indirectly corroborated by the fact that von Sammern-Frankenegg was removed from his post and replaced by Stroop, and shortly thereafter court-martialed for his incompetence. After Stroop came in, he instituted the more effective tactics described in the article above, which likely would have minimized German casualties. Is it clear from the Stroop report that it does, or does not, include the casualties incurred under von Sammern-Frankenegg? I would think that Stroop, even if determined to be honest about the German casualties to his superiors, would not have been keen to include casualties under the previous commander (who had been disgraced). Oh, and I would add to my above comment the following. In viewing the context of the Stroop report in terms of whether he had a motive to downplay the casualty figures, I think it's important to consider not just that he generally wanted to present an image of success to his superiors in the sense that any officer would, but also the fate of his immediate predecessor. Sammern-Frankenegg was court martialled on April 24, just 5 days after his failed initial assault that resulted in ambush by the Jewish resistance. Clearly, the consequences of failure for the commanding officer were dire, and Sammern-Frankenegg's fate was undoubtedly known to Stroop. I think it's important to note that "failure" didn't mean operational failure. No german military official in his right mind would have considered the possibility that they would ultimately fail to put down the Jewish resistance. Rather, failure here was the humiliating implication that Jews could inflict high casualties on Germans, since in Nazi ideology Jews were considered cowardly and physically weak. Since there was no real question of ultimate operational success, Sammern-Frankenegg was removed and court martialled because he had embarassed Germany since his initial assault was repelled and likely high casualties were sustained. Against this backdrop, it is particularly unsurprising that Stroop would downplay estimates of casualties under his command. What interests does the author of the rebuttals have vested in the holocaust? what interests does denier bud have vested? ?